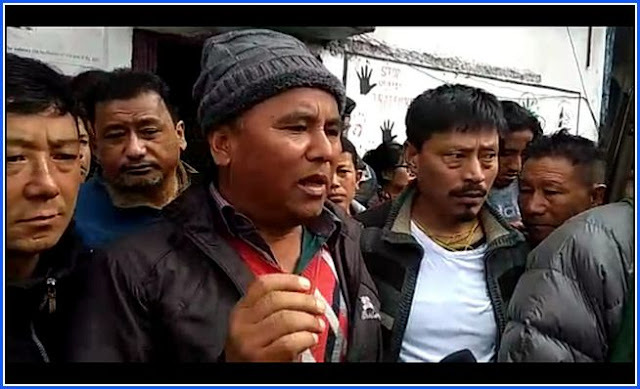 Darjeeling: JB Tamang, President, Himalayan Plantation Workers' Union (HPWU- affiliated to the GNLF) fell ill while being produced at the Additional Chief Judicial Magistrate Court (ACJM,) Kurseong on Monday. He has been admitted in the ICU of the Darjeeling District Hospital. Fifty-six year old Tamang had been implicated in a case under the Naxalbari Police Station and arrested in the wee hours on Sunday. He had been produced at the Siliguri ACJM court from where he was granted bail. However, as soon as he stepped out he was re-arrested in connection with a case under the Mirik police station. Tamang was produced at the ACJM Court in Kurseong on Monday. Tamang fell ill and even lost consciousness when was produced at the court. He was rushed to the Kurseong sub divisional Hospital. From there he was referred to the Darjeeling district hospital. Tamang was then brought to Darjeeling and admitted in the ICU. Later in the evening GNLF top brass including party President Mann Ghising paid him a visit. "His condition has improved stated" Dinesh Sampang, GNLF leader.